I start my day with some quiet reflection. As I sat with both quotes, I realized that the intersection point between those two quotes is choice. It is choice that simultaneously reflects and impacts the strengths of our Personal Leadership. 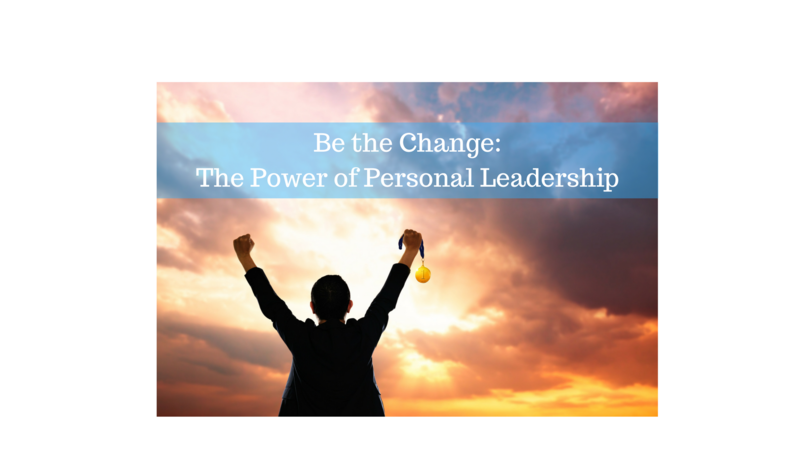 So, what is personal leadership, and how is it distinct from leading others? In my experience working with executives across industries and around the world there is a fundamental truth about leadership. It is not possible to lead others unless we are mindful of how we are leading ourselves. There is no doubt that we are living in unprecedented and divisive times. Consequently, there is no better time to dig deep and reflect on who we are as individuals and how we are living into our circumstances. How we choose to respond (versus react) to what is happening around us is a direct reflection of our personal leadership. What choices are you making from your stress? Do you take to your bed? Do you participate in peaceful protest? Do you sit in front of your TV and shake your head in surrender – feeling hopeless and helpless? Do you raise your fists in agreement and defiance? Or do you find constructive ways to navigate and influence the changes occurring in our world, our country, our communities, our organizations and our teams simply by how you show up in each interaction you have? The choices are up to you – and only you. And from your seat of choice you have the power to influence others and ultimately influence outcomes. This was evident to me when a senior leader at a global, professional services firm chose to reach out to his team of people in the wake of recent political discontent. He chose to show up from a place of personal courage, core values and authenticity. In doing so, he could reassure his teams that despite what was going on around them, there was stability, consistency and comfort in staying true to the values of the organization anchored in courage, inclusion, and commitment to serve. And in addressing some of our national cultural issues directly he demonstrated each of those values – courage to address some tough issues head on and reassurance that inclusion remains foundational to him and to his organization. And he reinforced the non-negotiable commitment to be of service to his teams and the clients they serve – every interaction, every day. That respective leader made a choice to stand in his truth. And in doing so, he demonstrated remarkable personal leadership that impacted his ability to effectively lead others. He modeled what he wants from those he is leading. He chose to show up to his circumstances in calm, truth, and strength. Our ability to choose is what makes us human. And the choices we make and the way in which we make them have the power to transform the mindsets and actions of others. Be mindful. Make bold choices that reflect your personal leadership. It matters.